Victoria Rowell has ended her lawsuit after reaching a settlement. 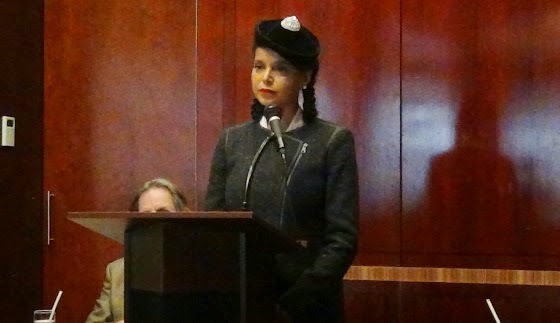 Victoria Rowell, who played Drucilla Barber Winters on The Young and the Restless for 14 years, is no longer continuing her lawsuit against Sony Pictures and Days of our Lives producer Corday Productions in court for failing to hire her. On Monday, a judge dismissed the case after being informed of a settlement. Two years ago, Rowell filed claims alleging that her outspoken advocacy for African-Americans both in front of and behind the camera had cost her a chance to be cast again on the soap. Her complaint discussed communications with CBS CEO Leslie Moonves and Sony's former chief Michael Lynton and presented statistics about racial discrimination in the soap industry. Rowell's initial effort failed, but given the chance to replead, she convinced U.S. District Judge John Kronstadt to allow her to move forward on a more narrow path that she had applied for a position, and despite qualifications, she was rejected in an act of retaliation. The judge rejected defendants' attempt to stop her lawsuit on First Amendment grounds. Kronstadt allowed for the possibility that Rowell's non-hiring wasn't related to creative decisions, but rather disagreements over her advocacy work. In December, Corday Productions filed a summary judgment motion asserting the decision not to cast Rowell had nothing to do with her advocacy. The company submitted testimony from its casting director that Rowell wasn't viewed as the right fit for a role on Days of our Lives. Rowell, in an opposition brief, stated this didn't make much sense. She pointed to the soap being in last place in the ratings, interest among the producers in hiring big name actors and some conjecture how Sony may have been blocking her. Her lawyers were upset about not getting to complete the depositions she sought, and in any event, asserted there were genuine disputes of material fact that necessitated a trial. The parties were scheduled to square off at an oral hearing on Monday, but shortly before that was to occur, they informed the judge of an agreement to end the case. No terms have been disclosed besides a waiver of costs. A source close to the case told The Hollywood Reporter that Rowell didn't receive payment from the settlement.